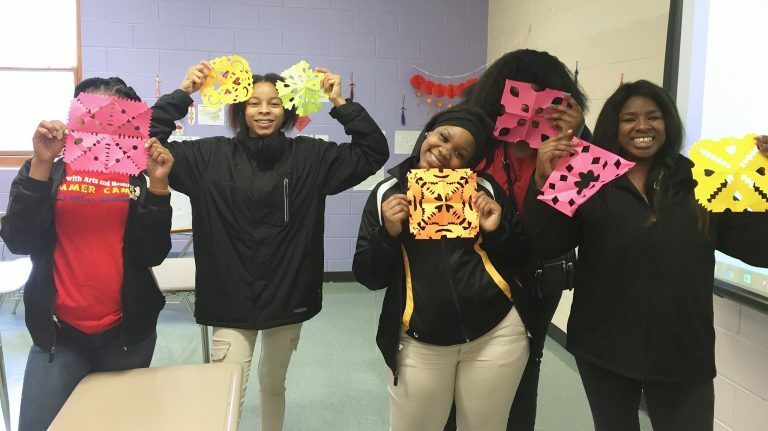 When Linfei Yi began teaching Chinese at Holly Springs High School two years ago, the University of Mississippi graduate student had no idea it would quickly become the largest such program in Mississippi. 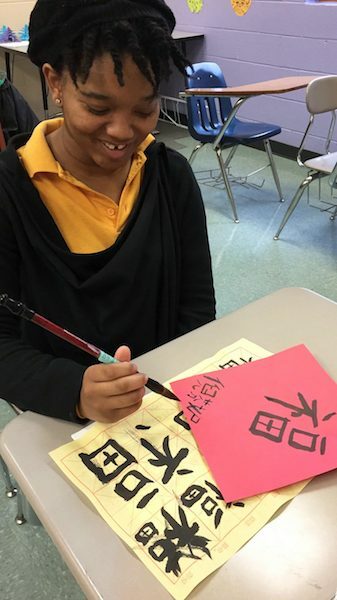 Besides Holly Springs, three Mississippi schools – Oxford High School and Lafayette High School in Oxford and St. Andrew’s Episcopal School in Ridgeland – have Chinese language programs. The UM Department of Modern Languages is involved with the Lafayette and Holly Springs program through its partnership with Alliance for Language Learning and Educational Exchange Foundation. The alliance works mostly to set up Chinese and Japanese programs within universities, but it also helps recruit graduate students into the university’s Teaching English to Speakers of Other Languagesprograms. Native Chinese speakers are required to teach in one of the high schools while they pursue their degrees. “It’s a wonderfully innovative way for the university to bring new academic programs to area high schools,” said Daniel O’Sullivan, UM chair and professor of modern languages. “Yi has been a model graduate student in our program and has made a positive impact at Holly Springs. Yi’s students also have traveled to Oxford to participate in the Moon Festival and to watch the Chinese Speech Contest, which was held Chinese New Year. These events and others are observed through the university’s Chinese Language Flagship Program. Yi has taught 62 students in two classes at the north Mississippi high school. Since its inception, two graduates have continued their Chinese studies. “The most rewarding aspect of my teaching experience is always to see my students can speak more and more in Chinese and become more and more interested and curious about the language and the culture,” said Yi, a native of Guilin, China who earned her bachelor’s degree from Guilin University of Technology and her master’s degree from Guangxi Normal University. Yi said students in her Chinese Level 2 class are the best example of this progress. She recalled how some of them initially wanted to take Spanish rather than Chinese, but couldn’t transfer out of the class. “The first day of my Chinese 1 class, they were not happy at all,” she said. “But through the first year of learning the language, doing group projects and presentations on Chinese culture and attending events held by the Ole Miss Flagship Chinese program, the students took the initiatives to learn more. Yi said she entered the modern languages and liguistics program because she wanted to continue to teach Chinese as a second language to English speakers. “I wish to continue to work either as a language teacher or to promote cultural exchange between China and the U.S.,” she said. Several of Yi’s Holly Springs students praised her efforts on their behalf.